Hand-To-Hand Combat Marine Corps LINE Training DVD is the Marine Corps'' version of hand-to-hand combat which is taught to all Marine Corps uses these unique methods of self-defense because they are easy to learn, extremely effective, and can be incorporated into other martial arts systems. L.I.N.E. training stands for "Linear Involuntary Neurological override Engagement" which means, that once learned, these movements become automatic reflexes in reaction to physical assaults. These are the complete, twelve lessons which will ''arm'' you with a variety of counter moves and counter strikes against physical attacks. All lessons taught in this program are taught by Marine Corps Drill Instructors at the Marine Corps'' Recruit Training Center in San Diego, California and occur during actual L.I.N.E. training classes. 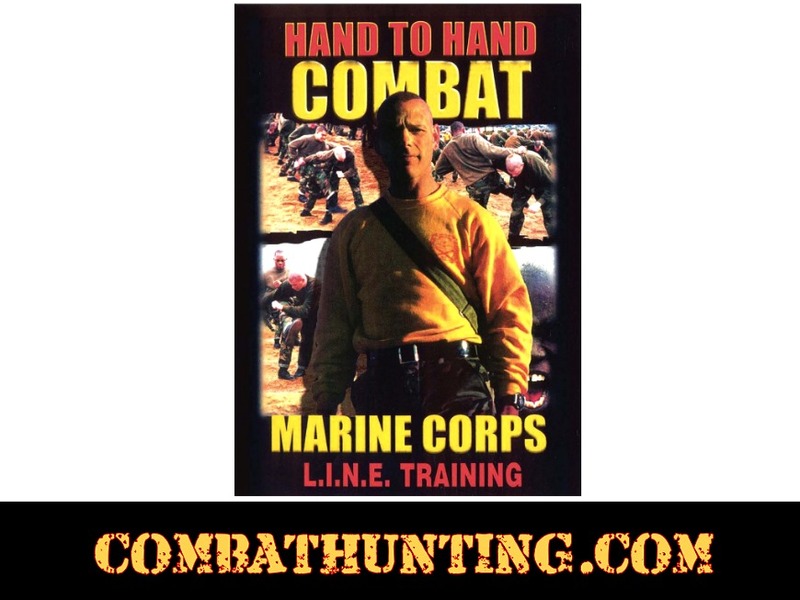 This program enables you to learn these hand-to-hand combat drills alongside Marine Corps'' recruits. Great Video.